The photographer Marc Yankus has been documenting New York’s architecture for years, mining the landscape not for its monetary but artistic value. His celebrated ‘Secret Lives of Buildings’ series depicts a serene, and often surreal view of Manhattan’s grand built environment. But like a good developer, Yankus has lately been venturing beyond the Broadway corridor to scout something new and undervalued. 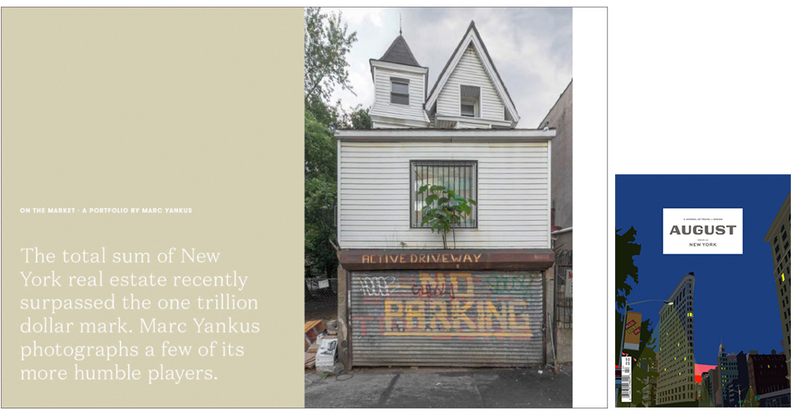 Shown here are buildings and houses mostly in Brooklyn, Queens, the Bronx, and Staten Island—the “outer boroughs,” in local parlance—that reveal the unassuming side of the city’s trillion-dollar market. Although more modest than their Manhattan counterparts, these buildings expand our definition of New York City real estate, and transform our understanding of its value.